SEATTLE – Coming off a berth in the national semifinals, the biggest question surrounding Washington is whether it will be able to replace four players taken in the first 43 picks of the NFL draft, three of them in the secondary. If that sounds familiar, nearly the exact same scenario played out after the 2015 NFL draft, when four Huskies – all on defense – were selected in the top 44 picks. Washington was a better defensive team a year later. 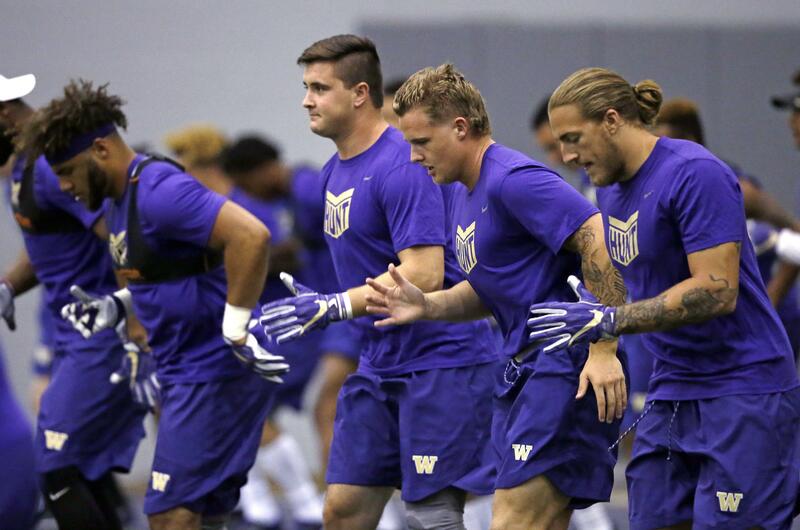 There are plenty of questions surrounding Washington, even as it stands as the clear favorite in the Pac-12 North and is likely to receive a top 10 ranking in preseason polls. But the secondary will likely get the most scrutiny as the Huskies try to replace cornerbacks Kevin King and Sidney Jones and do-everything safety Budda Baker. All were major reasons why the Huskies found themselves in the national semifinals against Alabama last season. Baker was a second-team AP All-American selection, while King and Jones were among the top cornerbacks in the country. But around the Huskies program, there’s minimal concern about the prospect of maintaining an elite defense. McIntosh is one of the veterans in the defensive backfield, along with sophomore Taylor Rapp, who last season was named the Pac-12 defensive freshman of the year as voted on by coaches. Rapp will likely step into a role similar to what Baker played last year, being used in multiple positions depending on the matchup. On the outside is where questions remain. Byron Murphy, Jordan Miller, Elijah Molden, Austin Joyner and Myles Bryant are competing to step in for King and Jones. “We would like to redshirt everybody … but of course out of necessity, or in Taylor Rapp’s case talent, if those guys rise to the top and they’re the best at their position they’re going to play,” said Lake, who played at North Central and Eastern Washington. It helps that Washington’s front seven could be equally good as a year ago, bolstered by the decisions of defensive linemen Greg Gaines and Vita Vea not to turn pro, and the return of inside linebacker Azeem Victor from a broken leg.